The Vampire Diaries – Season 7 (2015) – What's New on Netflix Canada Today! Damon is faced with a new reality without the love of his life; Bonnie decides to be Damon’s moral compass, and look out for Alaric, who lost his fiancé. Stefan protects the town from Lily; Enzo must decide Who he is loyal to. – The vampire brothers Damon and Stefan Salvatore, eternal adolescents, having been leading “normal” lives, hiding their bloodthirsty condition, for centuries, moving on before their non-aging is noticed. They are back in the Virginia town where they became vampires. Stefan is noble, denying himself blood to avoid killing, and tries to control his evil brother Damon, who promised to Stefan an eternity of misery. 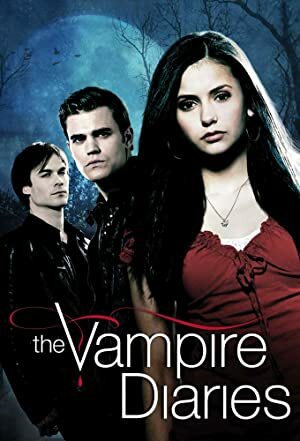 Stefan falls in love with schoolgirl Elena, who has an uncanny resemblance to the Salvatore brothers old love, Katherine; and whose best friend Bonnie, is a witch.